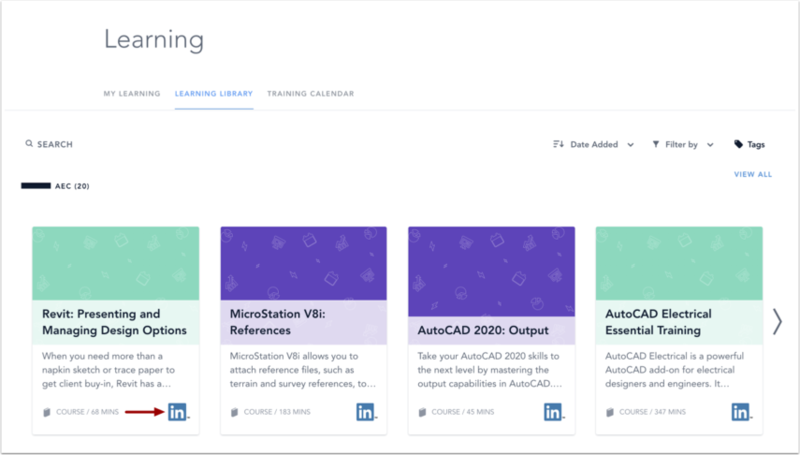 If your company has enabled the LinkedIn Learning integration in Bridge, you will be able to browse, search, and self-enroll in courses from the LinkedIn Learning catalog. Self-enrolled courses are not required and populate the Learning Library along with other Bridge courses. The LinkedIn Learning integration includes an addition of 30+ categories in the Learning Library. You will need to use a LinkedIn account that uses the same email address that is associated with your Bridge account. Find the course you want to join. 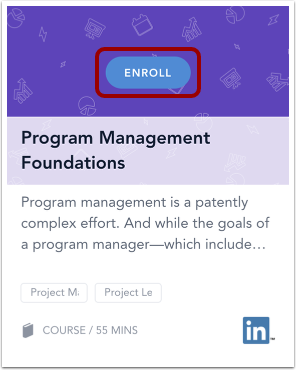 LinkedIn Learning courses populate the Learning Library and are discernable by the LinkedIn Learning logo on the course card. 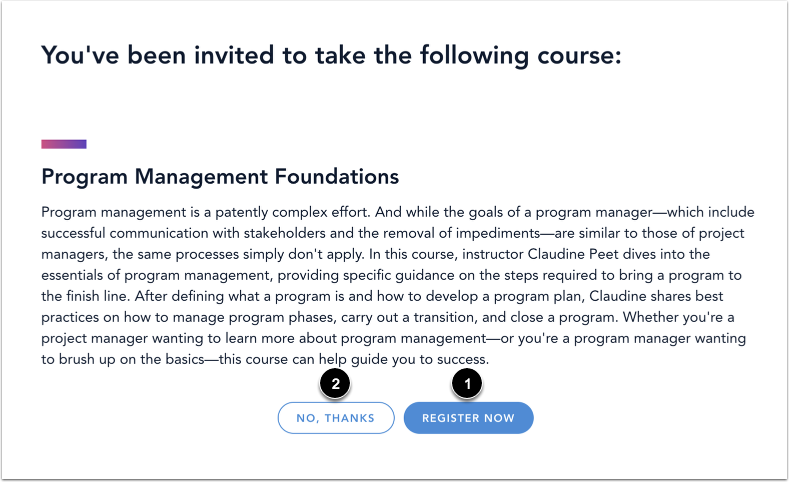 To self-enroll in a course, click the Enroll button. To register for a course and open the LinkedIn Learning site, click the Register Now button . If you decide not to register for a course, click the No, Thanks button to return to the Learning Library . Note: In order for your enrollment data to be recorded in Bridge, you must register for a course within Bridge before taking a course in the LinkedIn Learning site. Previous Topic:How do I use the Learning Library? Next Topic:How do I self-enroll in a course or program in the Learning Library? Table of Contents > Learners > How do I self-enroll in a LinkedIn Learning course?